Even though coffee is more popular than ever (83 percent of American adults drink it), people don’t give much thought to how it actually gets into their cups and coffee makers. But we should, because the labor-intensive process has an ugly downside for local water sources. After workers separate the beans from the skin in wet mills, the resulting waste is often dumped straight into rivers with dangerously toxic results. 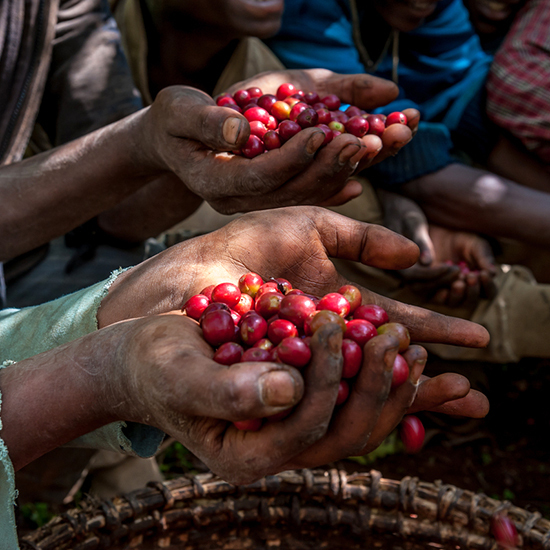 But a nonprofit called Water Wise Coffee is helping to clean things up in Sidama, Ethiopia—one of the world’s best coffee-producing regions—with the help of Bob Marley’s son Rohan, himself a passionate coffee drinker and founder of Marley Coffee. Water Wise pulls the nasty byproducts out of coffee wastewater using vetiver grass, which is able to soak them up, acting as a sort of natural water filter. You can check out part of the documentary below and the rest of it over at waterwisecoffee.com. If you want to help out with the project to clean up all of Sidama’s 220 wet mills, head over to their crowdfunding page.